In the past two blog posts, “The Noble Soldier” and “The Army with the Afterlife in Mind,” I have been discussing the concept of how the military here on earth– especially the militaries fighting ISIS and radical islamic terrorism– are very much like “The Lord’s Army,” all Christ Followers who are seeking to glorify Christ and fight evil, darkness, sin, and oppression by the Gospel of Jesus Christ. But through writing these posts, one thing came to the forefront of my mind: with what does the Christian soldier fight with, in the battle against darkness? I felt it important to 1) address the reality and importance of the enemy’s schemes in our lives, and 2) express what the Bible says about how we fight back. Many Christians today, especially in the West, see their discipleship to Christ as something they do on Sundays, or whenever they meet for church. Because Christianity can be, as of now, openly practiced in the United States of America, many Christians do not take their walk with Christ seriously. They see their walks in this life as more of a playground, instead of a battleground. (This is not, of course, stating that to have fun and enjoy life is sinful, or unwise– everything has been given to us by Jesus for our enjoyment, 1 Timothy 6:17). But, nothing could be further from the truth. Without using scare tactics to freak out Christians about the enemy, the truth is that there is an enemy of our souls. Here is what the Bible says about the enemy of our souls, satan. It is important to note that not everything bad that happens in our lives is directly from satan’s scheming; much of the time, it is also our sin and it’s consequences, or the result of living in a broken world, one riddled by sin (1 Peter 4:15; Romans 8:19-23). He (satan) fell from his place in heaven because of pride, wanting to be God (Isaiah 14:12-15). “And no wonder, for Satan himself masquerades as an angel of light” (2 Corinthians 11:14). He prowls around, like a lion (not as a lion), looking to see whom He can deceive and destroy. Think about that last point. satan prowls around– not as the Lion (as in the Lion of Judah, Jesus Christ), but like a lion, a false and cowardly imitation of Christ. Cowardly as he is, satan prowls around, looking for someone to devour. The definition of “devour” is “to consume destructively.” This definition provides a wake-up call for Believers: You have an enemy that, though he cannot touch your salvation, wants to destroy your life, your testimony to Christ, and your walk with Christ. With such a formidable enemy ready to attack us, what can the Christian do to defend themselves, as well as to attack the enemy? Ephesians 6 is full of scripture about spiritual warfare, but James 4:7 uncovers one powerful way a Christian can cause satan to literally run away. 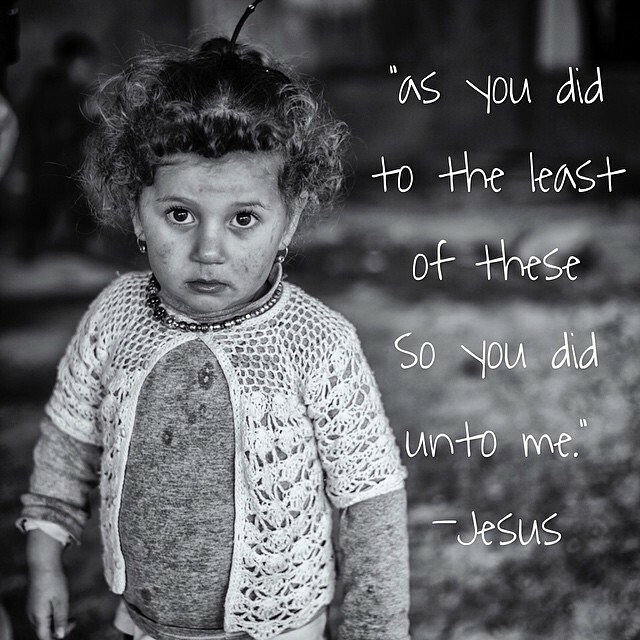 It’s simple, yet it involves us humbling ourselves before Christ, and doing His Will (therefore rejecting the devil). When we do this, the enemy has no other choice than to flee from us! It is in this humble submission to our Loving Jesus that Ephesians 6 encourages us to stand firm and strong against the enemy. Ephesians 6 starts out this way: “Children, obey your parents in the Lord, for this is right. ‘Honor your father and mother’—which is the first commandment with a promise— ‘so that it may go well with you and that you may enjoy long life on the earth‘” (Ephesians 6:1-3). What is the common thread here? Submission! In submitting to those who are higher up and/or leading you, your relationship and spiritual life flourishes. The belt of truth keeps one’s sword-carrier and the rest of their armor intact (source). 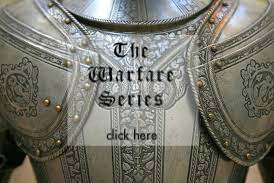 Without Truth, the rest of a person’s spiritual armor is in grave danger of falling off! Jesus said, “I am the way, the truth, and the life; no one gets to the Father, except through me” (John 14:6). Without Jesus as the Truth, everything else in a person’s life is in danger. The breastplate protected one’s abdomen and vital organs. Without righteousness, the enemy can go straight for the heart, lungs, kidneys, etc. — causing catastrophic damage in the spiritual life of a person. 1 Corinthians 1:30 states, “It is because of him that you are in Christ Jesus, who has become for us wisdom from God–that is, our righteousness, holiness and redemption.” Jesus Christ is, for the Believer, Righteousness. Without Him, we have no life, and are subject to death, much like a person who has wounded his vital organs. The feet are some of the most delicate parts of the body, especially when it comes to their undersides/the sole of the foot. In the middle of the battle, one needs shoes that provide protection from debris, and allow the fighter to focus on the battle at hand. When we are focused on Jesus, and on sharing His Gospel with those around us, we are given a firm foundation, ready to fight and protected from the many distractions of life. The Shield of Faith is not just something one puts on; one needs to wield their shield of faith, especially as the enemy shoots his fiery darts of discouragement, doubt, fear, and temptation. Believing Jesus’ promises can help us “curve” these fiery darts! Psalm 3:3 proclaims that Jesus is our Shield: “But you, Lord, are a shield around me, my glory, the One who lifts my head high.“ It has been said that it does not matter how much faith you have, as much as it matters where you put that faith in. Jesus said, “Don’t let your hearts be troubled. Trust in God, and trust also in me” (John 14:1). Trusting in Jesus as our Shield and Promise-Keeper keeps us safe from satan’s attacks. The helmet can mean life or death for those in the middle of warfare, as the brain is the most vital organ of the body. When one keeps Jesus’ sacrifice at the forefront of their minds, it protects their minds from distractions and discouragements (source). Jesus is our Savior, the One who has saved us! Keeping our eyes and thoughts on Jesus protects us from the evil one. The Sword of the Word of God, held by the belt of Truth, is the way to fight back against the enemy of our souls. Think about it: the more we know the Word of God, the more we know the promises of God; the more we are focused on Jesus and spreading His Gospel; and the more we are rooted in the Truth, that Jesus is our Righteousness! Learning how to yield the Sword of God is crucial to our spiritual health. More than this, Jesus is the Word of God (John 1:1). While not mentioned in Ephesians 6, the cloak of zeal is mentioned in Isaiah 59:17, which says, “He put on righteousness as his breastplate, and the helmet of salvation on his head; he put on the garments of vengeance and wrapped himself in zeal as in a cloak.” Our zeal and passion for Jesus can keep us from even the worst of outside conditions, just as cloak protected one against the outside elements. Like a coat, today, zeal keeps a soldier performing at their peak. Our zeal must be based on right knowledge; many people have zeal today, but it is based in something evil or sinful. It was Jesus’ zeal to obey the Father and be the propitiation for our sins that saved us; when we base our zeal on Jesus and sharing His Gospel, no one can put that flame out! Make no joke; our enemy is a formidable one. But, with submitting to Christ; putting on Jesus as our Righteousness and Truth; resting in His Salvation and Gospel; and growing in Faith in Him and zeal for Him, nothing the enemy does can keep us from walking in Christ’s victory. As important to our spiritual walk as the clothes a soldier wears on a daily basis, I pray that we would put on our spiritual armor. May we walk close to Jesus, our Commander, in the midst of this fight. For, unlike an earthly commander, Jesus is with us– always. Has the fight of life you are in seemingly decimated you? Even when we are too weak to stand, Jesus is right there, ready and waiting to lift us up, and strengthen us, just as David said in Psalm 3: “But you, Lord, are a shield around me, my glory, the One who lifts my head high” (Psalm 3:3). In these times, we can call to Jesus for Refuge, and rest under His Loving Care (1 Peter 5:7). Because Jesus is not just our military Commander, barking out orders; He is our Loving Father, deeply interested in every detail of our lives (Psalm 37:23). Learn about this Powerful, Loving, God– Jesus Christ– and just how much He Loves you, here. 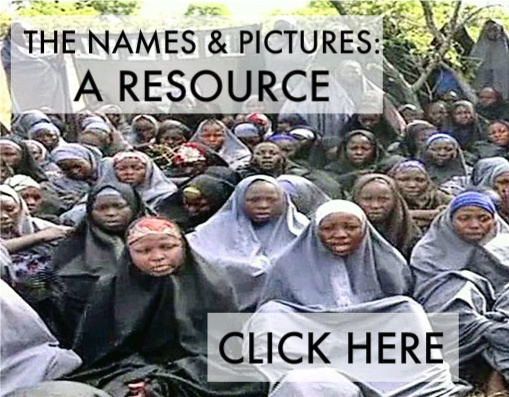 The Chibok girls; as of today, there are 113 of them still in captivity. Please pray for a breakthrough in their hearts, minds and lives! Those who are on the physical front lines, including soldiers, aid workers, and members of vigilante groups, especially in Nigeria. Please pray that they would all come to know Jesus, and would fight under His ultimate Lead and Protection. Those who are on the spiritual front lines, including missionaries, clergymen, and every Christian involved in the daily fight against evil (which is all of us, in some form or fashion!). Please pray for protection, wisdom, guidance, discernment, and boldness as they fight the good fight of faith. The members of Boko Haram, deeply influenced by evil and falsehood. Please pray that Jesus would bring even these men to trust in Him, and would turn their lives around for His Glory, just like Saul (also known as Paul) (Acts 9). For the continued protection and sustaining of those who are caught in this evil crossfire. This entry was posted in Observations & Insights, Prayer Updates and tagged Army, Army of God, Boko Haram, Christianity, faith, Gospel, ISIS, Jesus Christ, Radical Islam, Righteousness, Salvation, Soldiers, Spiritual Armor, terrorism, The Bible, truth, Wisdom, Zeal. Bookmark the permalink. What a wonderful series! Thank you so much for sharing. I love the cloak of zero – – I’ve never seen that before!